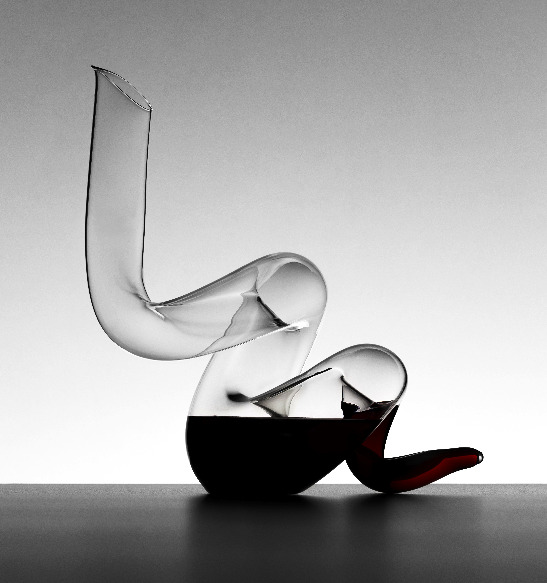 2013/01 - Boa wine decanter by Riedel. Designed to honor The Year of the Snake - 2013. Bring good fortune and joy to all those around you with the Boa wine decanter! With a unique, fully coiled design, the crystal Boa decanter allows for a double wine decanting process that will help open up and aerate your fine wines in just a few seconds.